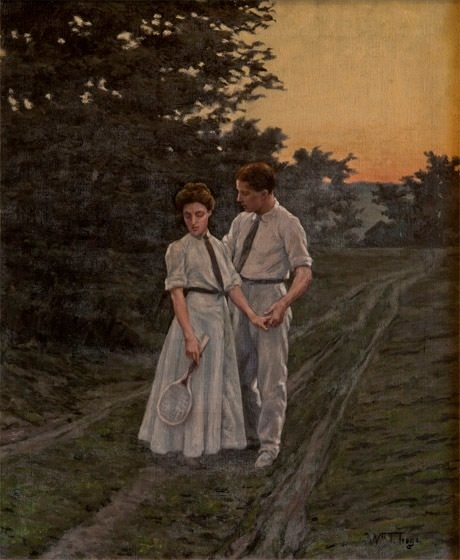 The young couple, both dressed in white, seem to be out for some recreation on a summer day, though the young man may be interested in more than the tennis game indicated by the racquet in the girl’s hand. She turns demurely away from him, though she continues to hold his hand. The title has traveled with the painting as it made its way down through the family of the current owner. Obtained from the artist by a member of his cousin Howard Trego’s family, and passed down in the extended family ever since.